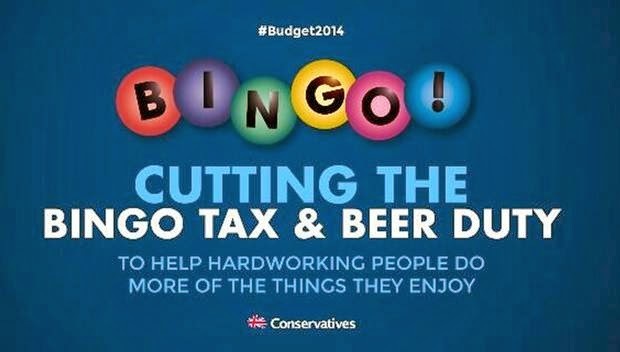 The Conservative Party's post-Budget 2014 BINGO! poster illustrates the importance of understanding and getting under the skin of your key audiences more clearly than anything I could ever have put in words. I don't intend to examine where, how or why the party got it so wrong, or open up a political debate - but I think we can all agree it was a mistake. So - how can lawyers avoid an #epicfail like this in their own marketing and PR activities? It's important to be very clear in this respect - no sweeping statements allowed - i.e. we want to speak to business people. Not good enough I'm afraid - you must be specific. Try something like: "Owner managers, finance directors and general counsel of SMEs in Manchester" or "People with a net worth of £250k and above, who haven't written a will/updated their will in the last 3 years, and live within 10 miles of Chester". The more tightly you can define who you want to communicate with the better, and the easier it will be to construct a strong PR and marketing strategy. Find out what your key audiences read, what they like, where they hang out and what they do in their spare time. Heck - you might even be one of them, in which case, you'll know a lot of this stuff. I heard somebody say recently that you can sell anything to your friends, and I think it's a great quote - because it's true! For me, the biggest mistake of the above poster was that it presumed a lot - making sweeping statements about a mysterious 'they' and that offended people. So, when it comes to reaching your identified key audiences, put aside your preconceptions and be willing to get into their shoes. And if you can't do that - it could be time to rethink your target market. LexRex offers a wide range of PR and marketing services to law firms and businesses that support law firms, including strategic brand and PR mapping, media relations, social media training and consultancy, awards entries, legal directory submissions and a number of PR and writing courses.